Xperia Archives — Gizmo Bolt - Exposing Technology | Social Media & Web. | Gizmo Bolt - Exposing Technology | Social Media & Web. 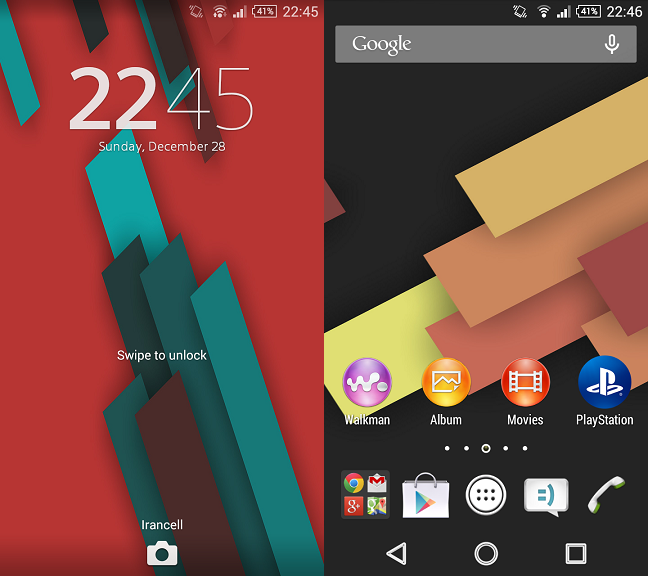 Today we are sharing Xperia Tri Flat theme modified for Lollipop running Xperia devices. Xperia Tri Flat theme is one of the first Xperia Theme to be made available for users on Play Store when Sony rolled Android 4.3 Jelly Bean update and till now it is one of the best theme if you ask us. 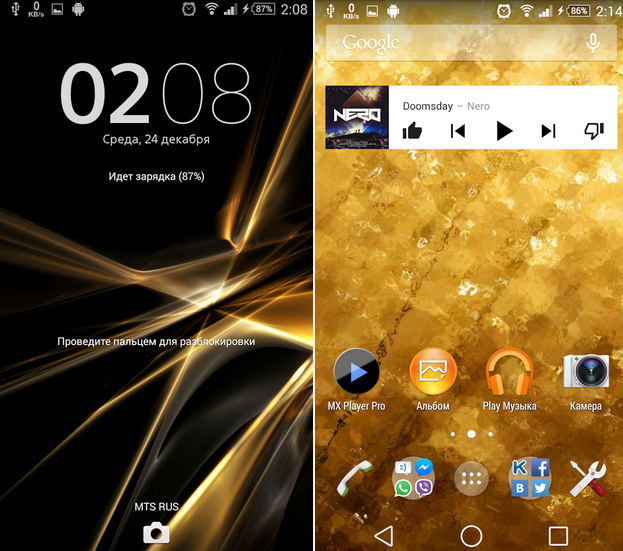 You need Xperia device running Android 5.0+ to install the themes, both themes change navigation keys perfectly on rooted as well as non-rooted Xperia devices. 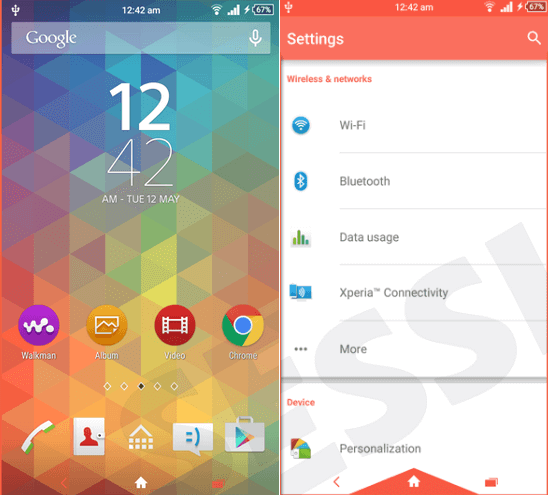 Download Xperia Tri Flat Lollipop Theme from below link and install normally. 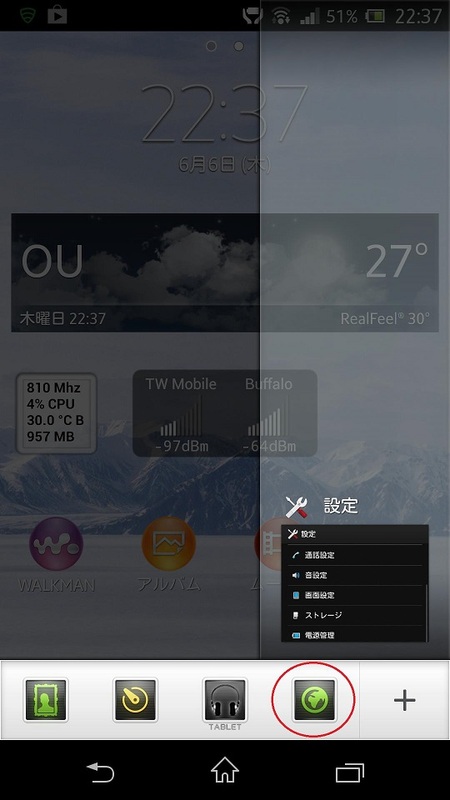 Download Xperia Dainty Theme from below link and install normally. Xperia Z4 aka Sony E6533 marked its appearance yesterday and today a few more Sony Xperia models spotted at Indonesian Postel. 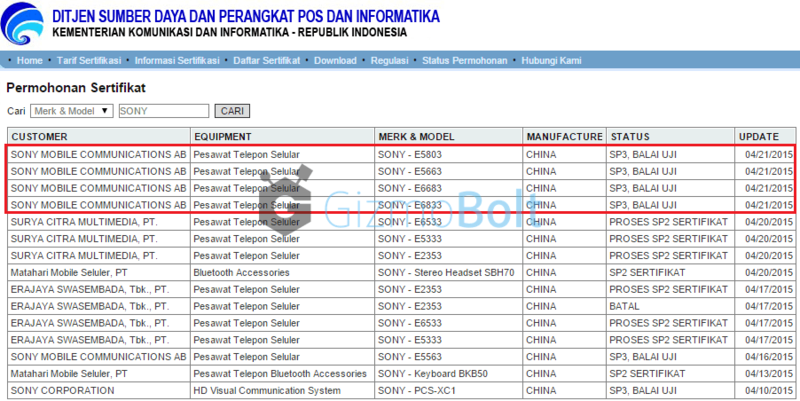 Sony E5803, Sony E5633, Sony E6683, Sony E6833 got certified today at Indonesian Postel site. 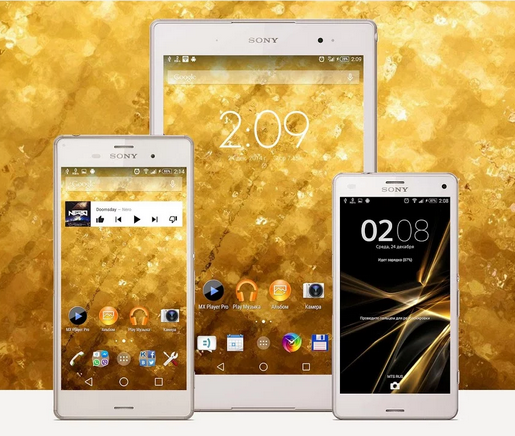 Sony E5803 goes in sync with Xperia Z3 Compact (Sony D5803/Sony D5833) whereas Sony E6683 goes in sync with Xperia Z Ultra (Sony C6833). This could mean that we might be looking at Xperia Z4 Compact or Xperia Z4 Ultra or some other completely different Xperia series. 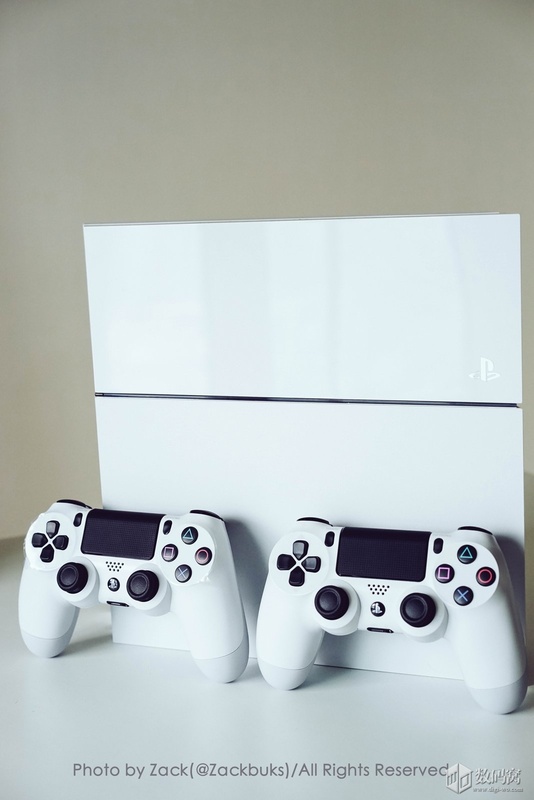 Check out the certification of Sony E5803, E5663, E6683, E6833 at Indonesian Postel below. It is not clear for the time being whether we are looking at any Xperia “Z4” series model or the new Xperia series. 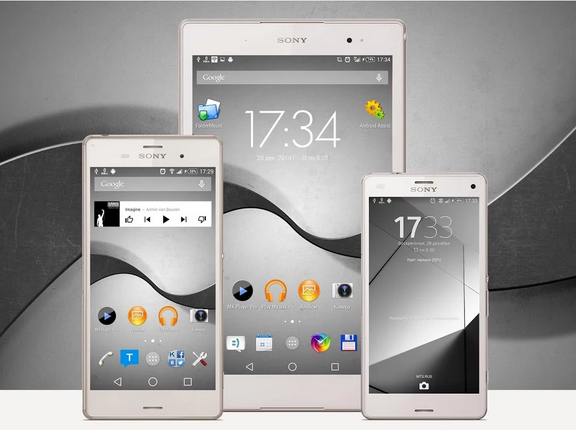 Xperia Z4 & Xperia Z4 Tablet has already been released. 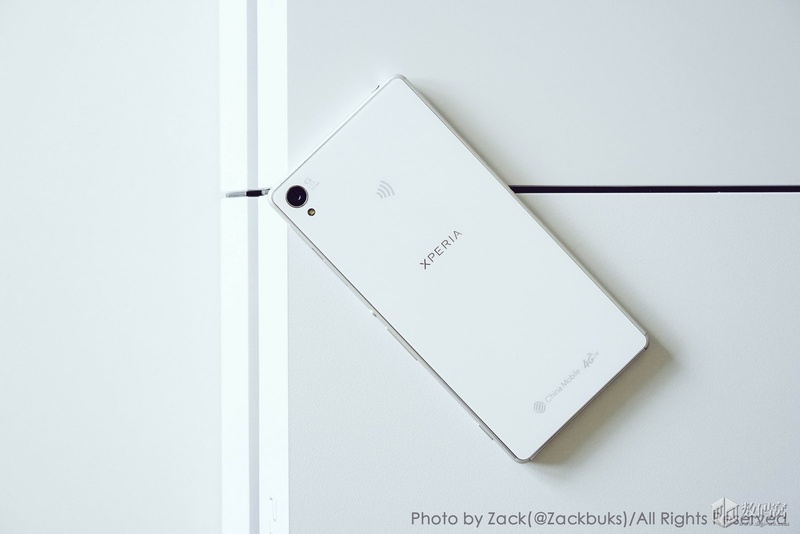 After the launch of Xperia Z4 in Japan, news came that Sony will be launching another high-end Xperia in May which could be the next Xperia global flagship device. What do you think guys, idea of Xperia Z4 Ultra looks ultra cool. Drop your comments below. Sony Mobile in a tweet made today, confirmed that Xperia Z3 Dual, Xperia Z1, Xperia Z1 Compact & Xperia Z Ultra will be getting Android 5.0.2 Lollipop update next week and Xperia T2 Ultra and Xperia C3 will be next to get update. Earlier today Sony confirmed the global rollout for Xperia Z2 Tablet and Xperia Z2 and now many regions like Vietnam, Singapore, Ukraine, Thailand, MENA Arabic, Generic LAM, USA, India have already got update on Xperia Z2 D6502 today. 2/2 #Xperia Z3 Dual, Z1, Z1 Compact and Z Ultra next week, followed shortly after by T2 Ultra & C3. Then Z Series – more on timings soon. Android Lollipop 23.1.1.E.0.1 firmware has already been certified for Xperia Z3 Dual. 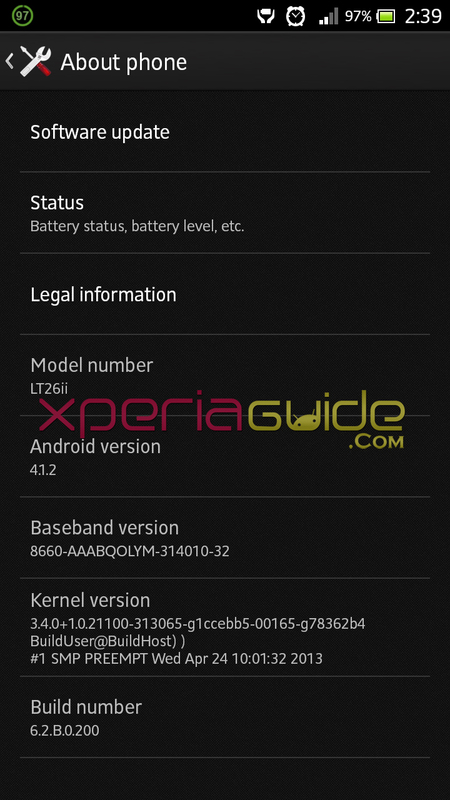 Android Lollipop 14.5.A.0.242 firmware has already been certified for Xperia Z1, Z1 Compact & Xperia Z Ultra. Android Lollipop 14.5.B.0.220 firmware has already been certified for Xperia Z1s (T-Mobile variant for USA). Android Lollipop 19.3.A.0.468 firmware has already been certified for Xperia T2 Ultra and Xperia C3. Xperia Z, Xperia ZL & Xperia ZR will get Lollipop update once Xperia Z3 Dual, Xperia Z1, Xperia Z1 Compact, Xperia Z Ultra, Xperia T2 Ultra & Xperia C3 gets Lollipop update. We will keep you updated once the rollout begins. Yesterday a pic of Xperia C4 in turquoise color leaked and today almost confirmation has come that Sony Cosmos is Xperia C4 with model number Sony E53XX. It is also believed that dual SIM variant of Xperia C4 will also be released with model number Sony E5333 and Type Number PM-0862-BV. 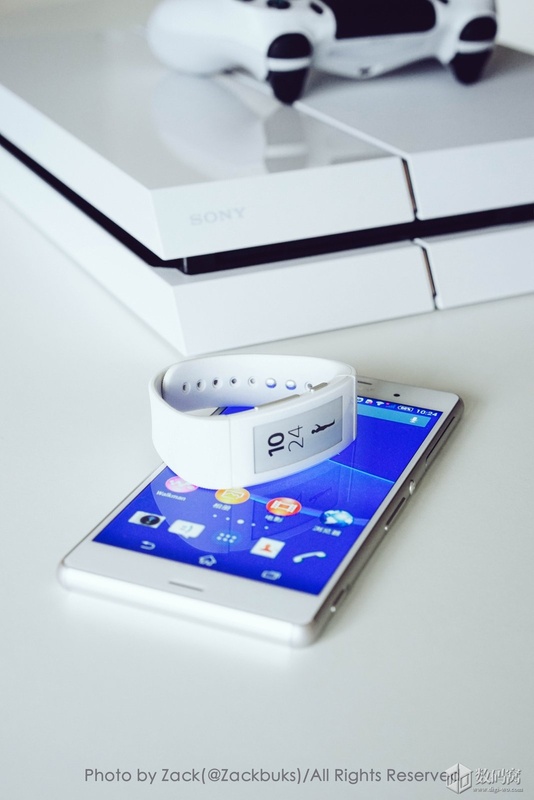 Xperia C4 Dual is codenamed as Sony Cosmos_DS. 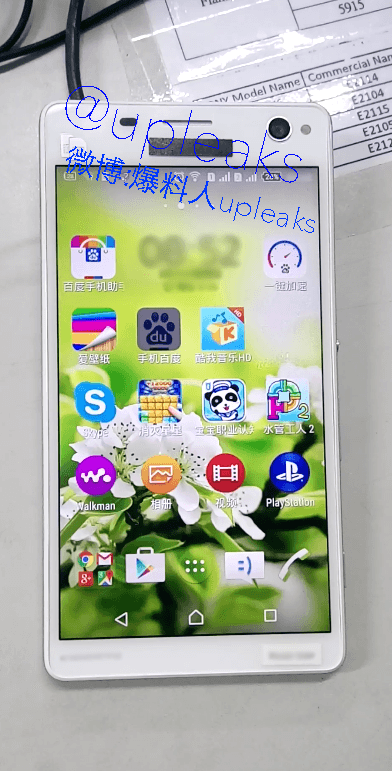 Xperia C4 Dual E5333 has been leaked in an alleged pic today (white color) showing the front panel of the device clearly. 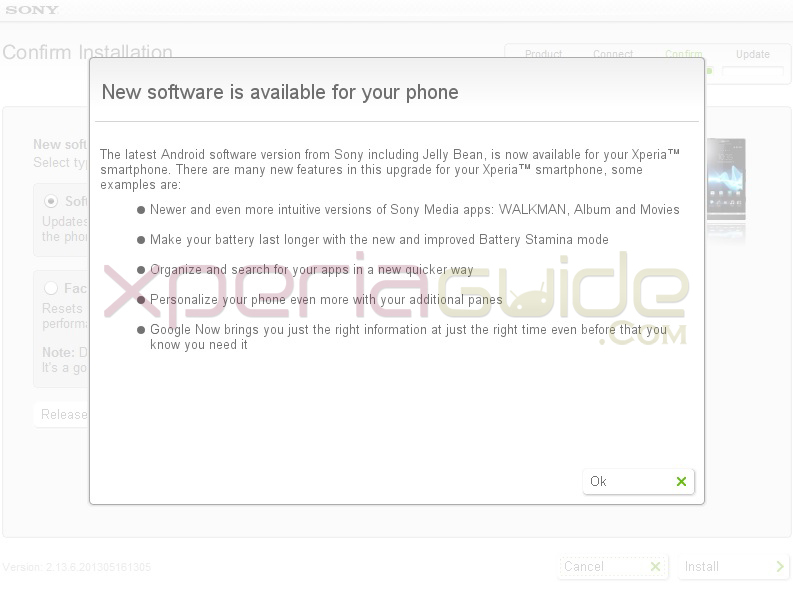 Earlier today @UpLeaks also leaked specifications of Sony E5503 (Xperia Lavender). 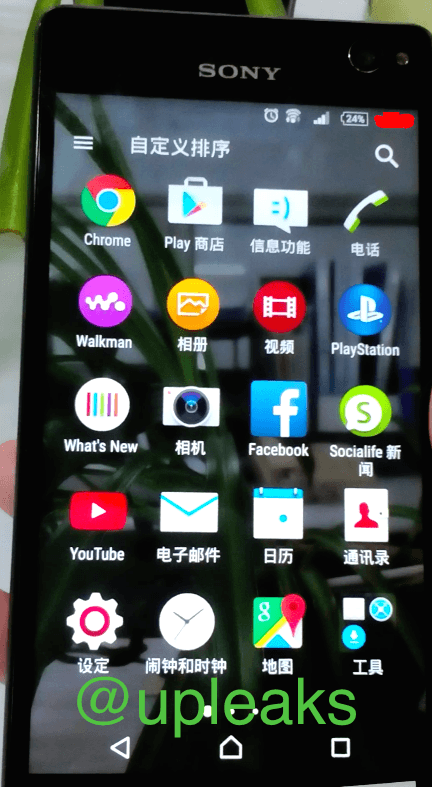 Check out the leaked pic of Xperia C4 Dual. 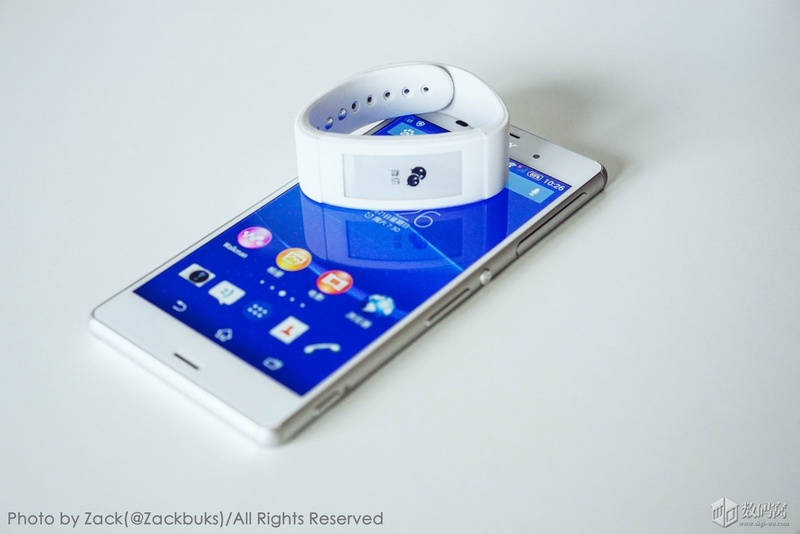 @UpLeaks confirms the model number of Xperia C4 Dual in a tweet made today. We will keep you updated once more info comes in for Xperia C4. Drop your comments below. Sony introduced a new boot animation in their Lollipop firmware and here comes a modded Xperia Sparkle Lollipop Boot animation for rooted Xperia devices. 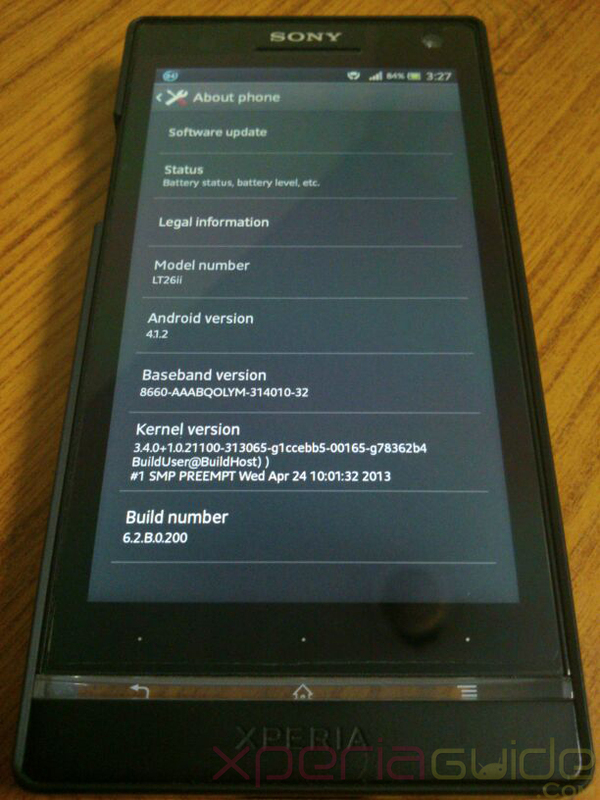 It is compatible with Android 4.4 KitKat running Xperia devices, for Android 5.0+ compatibility is unknown. Download the required zip file from below and flash the flashable zip file in recovery and reboot your device then. Do backup your original boot animation file. It is suitable for 1080p resolution devices. 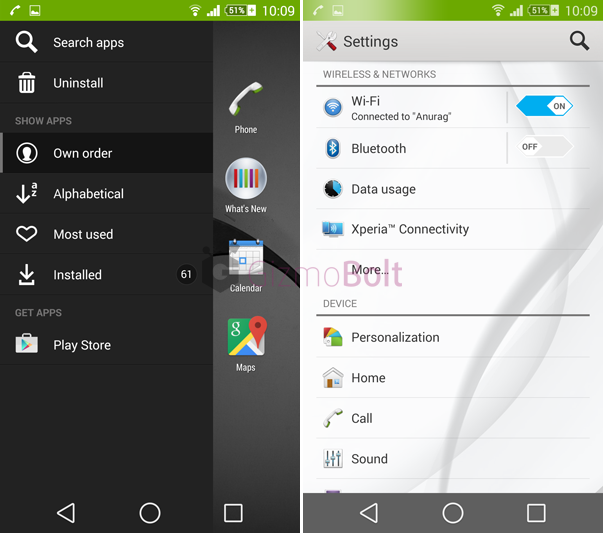 Download Xperia Sparkle Lollipop Boot animation flashable zip file from below link. Check out the live preview of boot animation below. Sony Xperia Cosmos pic has once again leaked, this time one can clearly see the “Sony” branding on the top bezel and at the top right corner there is 5 MP front cam with LED flash. 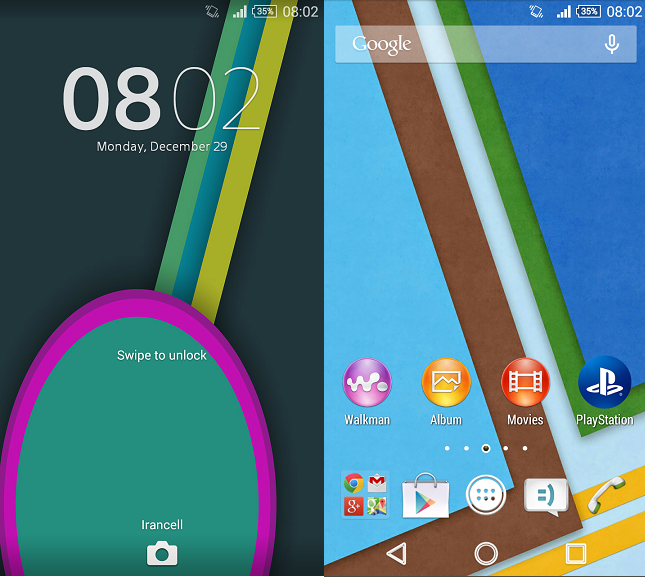 Device is clearly running Android Lollipop version, as seen from the Xperia home launcher spotted in pic. Xperia Cosmos leaks so far have already confirmed that it will feature MediaTek MT6752 processor (a 64-bit octa-core LTE SoC) and model number would be Sony E5306. Check out the latest pic of Xperia Cosmos leaked. Front Cam – 5 MP with LED flash. Check out the tweet made by @OnLeaks today. 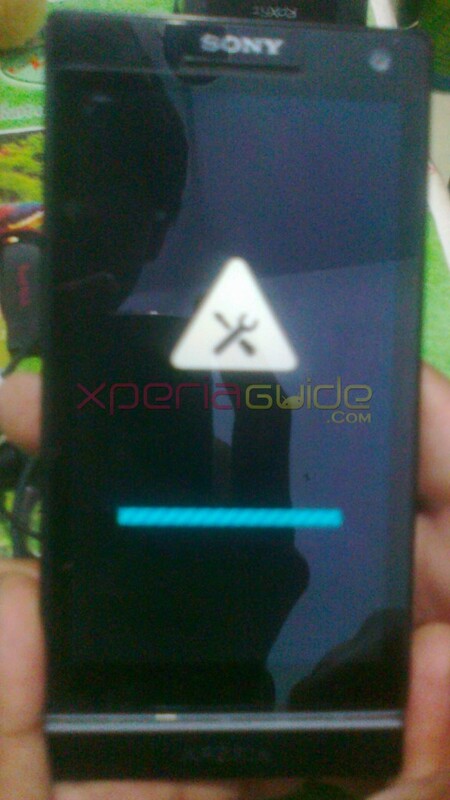 Earlier in leaks Xperia Cosmos front display and Bluetooth settings pics have been leaked. Sony first launched Xperia C3 with a 5 MP front cam and this time they have also put a LED flash with it, will Xperia Cosmos succeed Xperia C3, can’t be said for the time being. Will you buy a MediaTek powered Xperia Selfie smartphone? Let us know, drop your comments below. It can’t be said right now which Xperia smartphone they are referring to. Recently we saw Xperia Cosmo in alleged leaked with 5 MP front cam (along with LED flash), could it be Xperia Cosmos then (or is it Xperia C4?). No specific info about the device has been revealed yet except its arrival date i.e. tomorrow morning. By looking at the pic. it seems a 5″+ display device. [ UPDATE ] It seems it was just a hoax only. 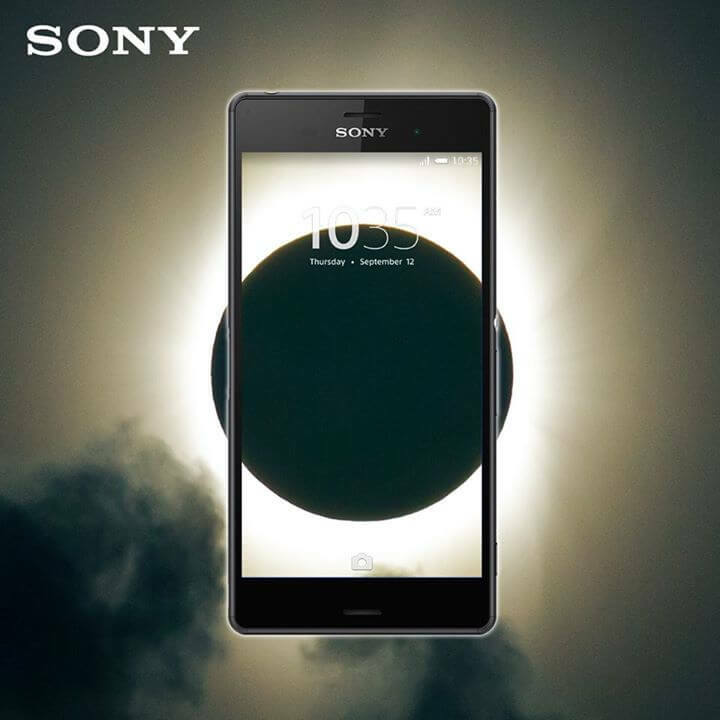 Sony Mobile GB has posted a picture of Xperia Z3, where they wanted users to take the pic of the solar eclipse happening through Xperia Z3. 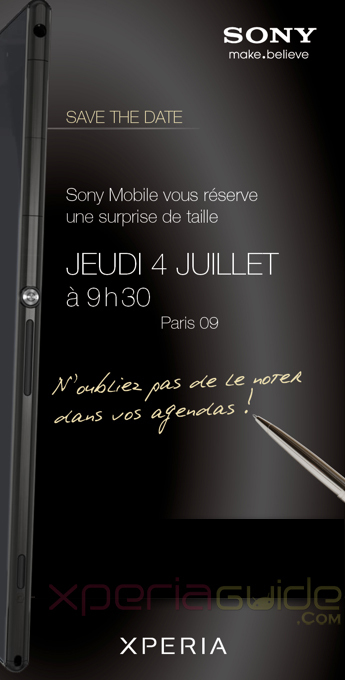 Below you can see the pic recently tweeted by Sony Xperia France. Below you can see the tweet made by Sony Xperia France. At MWC 2015 Sony said they are doing good with the Xperia Z3 in market so not launching Xperia Z4 for the time being so expecting Xperia Z4 at this stage don’t make sense but if it is Xperia Z4 then it would be a pleasant surprise. What do you think guys, which Xperia smartphone it is? Drop your comments below. 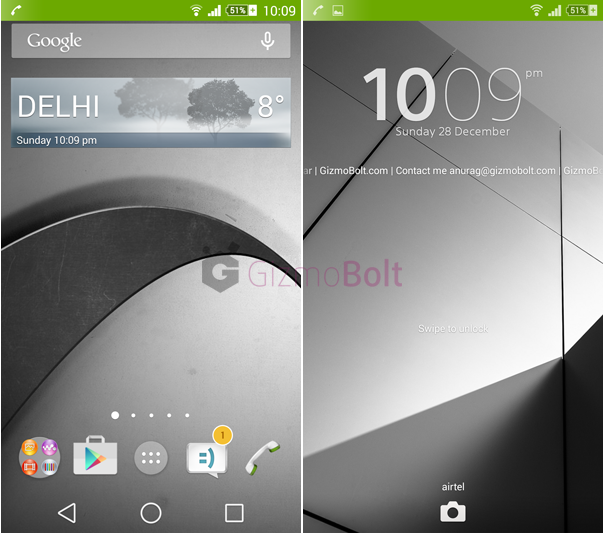 We have recently seen screenshots from Xperia Z4 Dual showing what Sony holds for Lollipop UI and seeing that one of the first Xperia themes based on Sony’s Android 5.0 Lollipop design has come i.e. 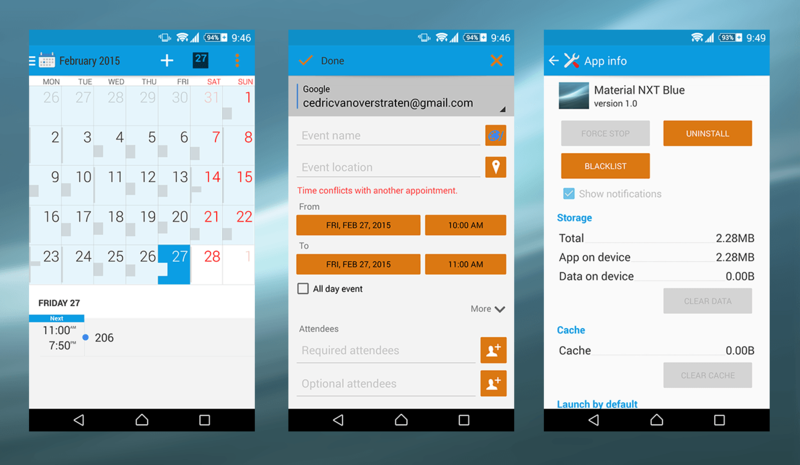 Xperia Material NXT Blue Theme (other colors like Purple, Green, Red soon to follow). 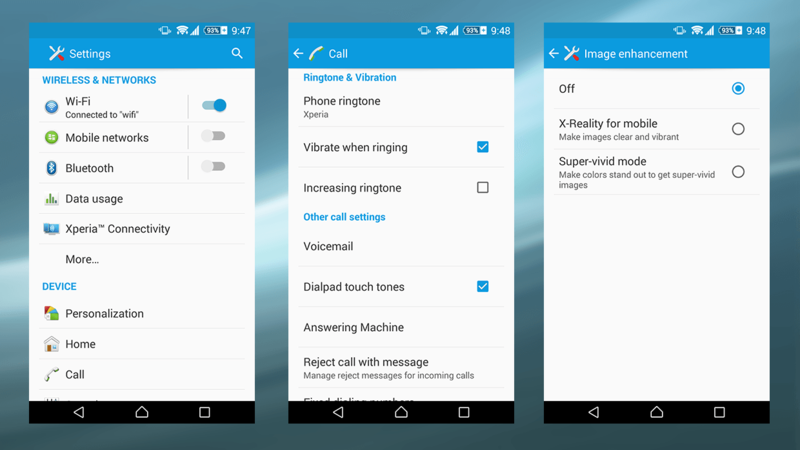 To install Xperia Material NXT Blue Theme you need rooted Xperia handset Z, Z1, Z2 or Z3 with SuperUser Mod installed, install theme normally and reboot. 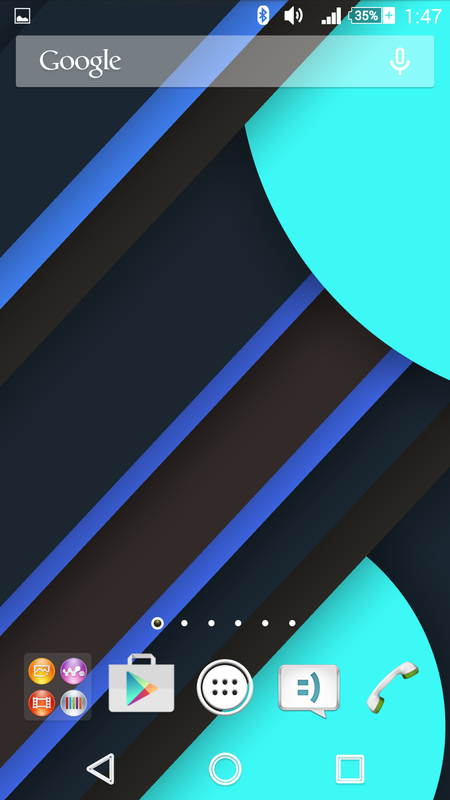 Theme is only compatible with above mentioned Xperia handsets. You get white themed UI, with new Wi-Fi icon, signal strength icon, switch buttons, navigation keys, colored status bars, themed dialer etc. 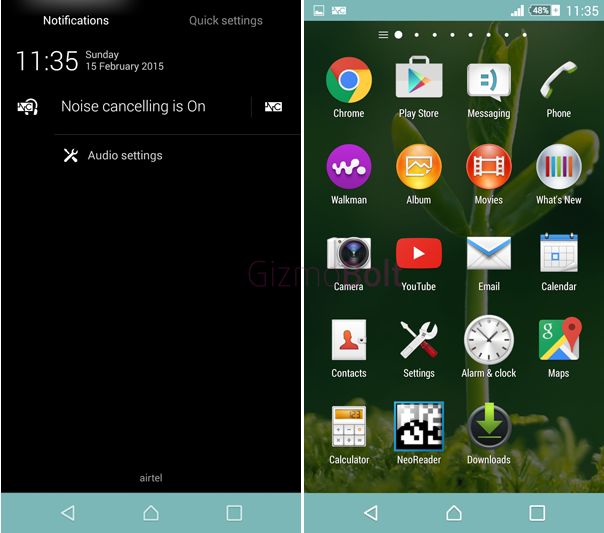 Download Xperia Material NXT Theme apk from below for the concerned device. As the theme developer said, more colors will be released soon and we will update the post as soon as they are released. 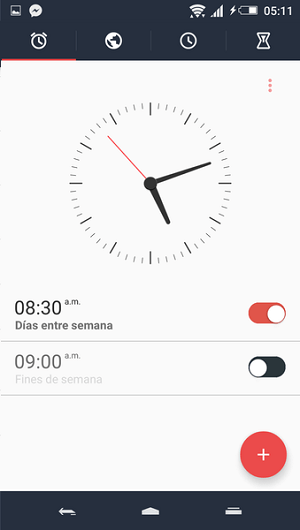 Are you looking for a cool clock widget for your Xperia device, well if yes, you might want to try this Widget Clock Walkman app. 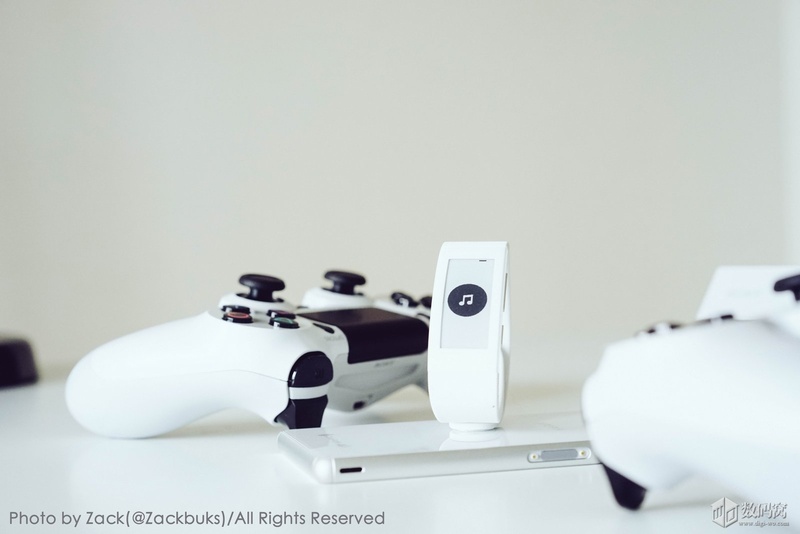 It is a customized clock widget, available in white and black color with Sony Walkman branding. 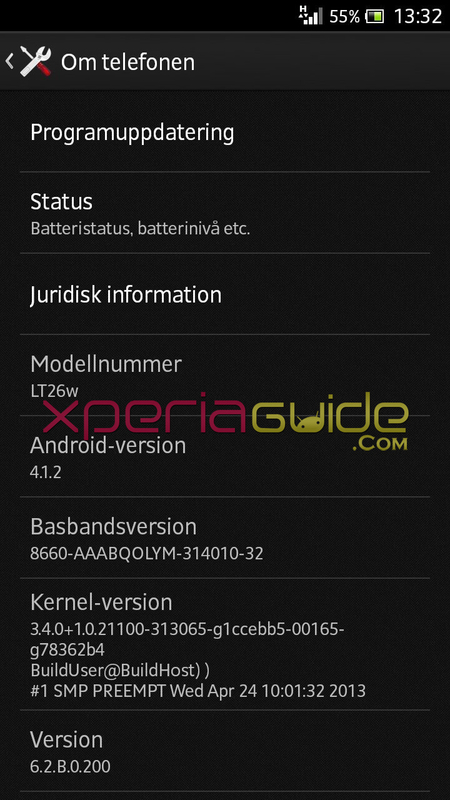 You need rooted Xperia device with custom recovery installed and running Android 4.2+ atleast. 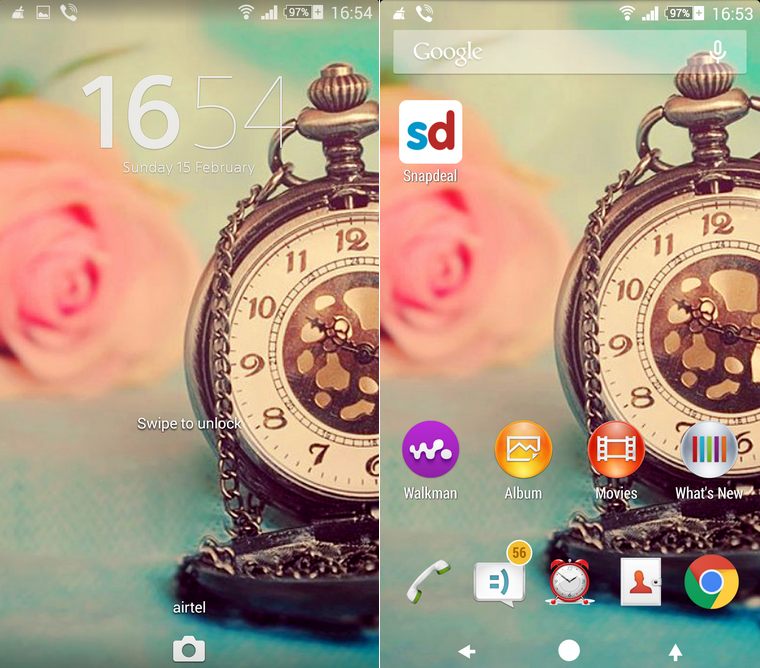 Back up your original clock widget app before trying this one. Download widget clock Walkman app from below and flash in recovery. 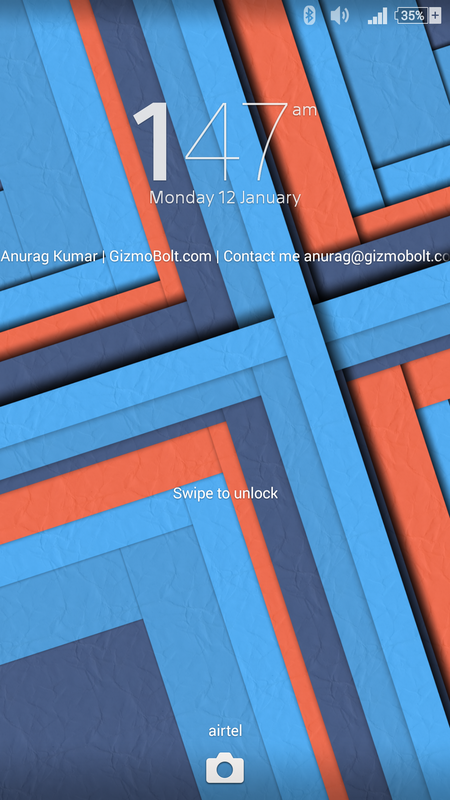 Like the new clock widget, let us know. Drop your comments below. Today we are sharing custom Xperia Hala Green & Xperia Rose theme working on non rooted Xperia devices ( confirmed working on Android 4.4+, compatibility with Android 4.3 unknown ). Xperia Hala Green theme gives you Sony’s new Android Lollipop style navigation keys with colored status and navigation bar ( not transparent yet on home screen, will be updated in next update ). 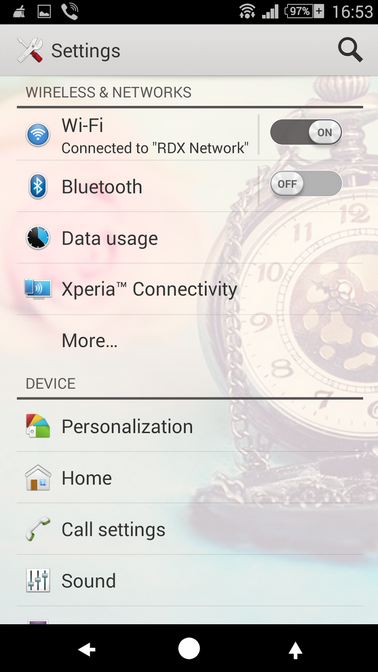 Xperia Rose theme from RDX Media Works gives you customized navigation keys with a clock timer icon as menu button on home screen with a themed background UI in system settings. Download Xperia Halla Green theme from below Play Store link. Download Xperia Rose Theme from below link. Thanks for the tip, Ratheesh Kettavan! 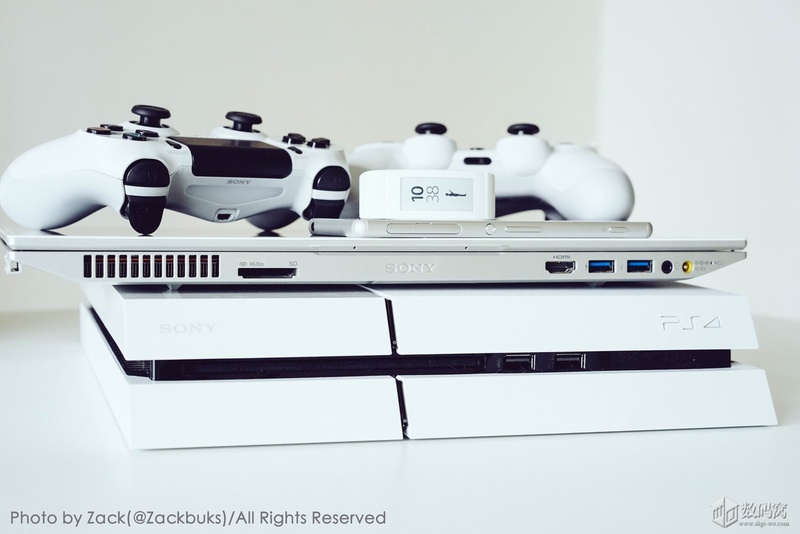 While we were seeing some pics today, we found some beautiful pics of Sony, Xperia Products posted by one Sony Xperia enthusiast guy, Zack. Earlier he has captured pics of Sony Walkman NW-ZX2 and copper colored Xperia Z3, which are fascinating. 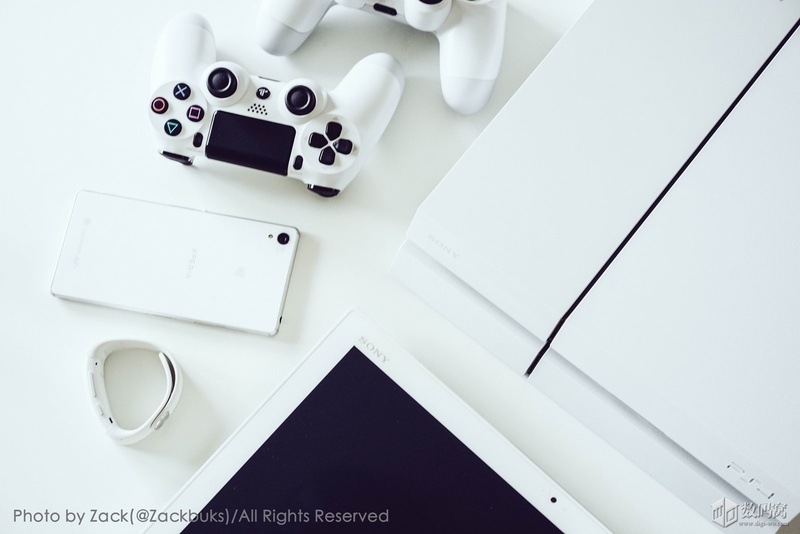 In pics published in this post, you will find white Xperia Z3, Sony SmartBand Talk, Sony Play Station 4 & Game Controllers and Sony Vaio Laptop. 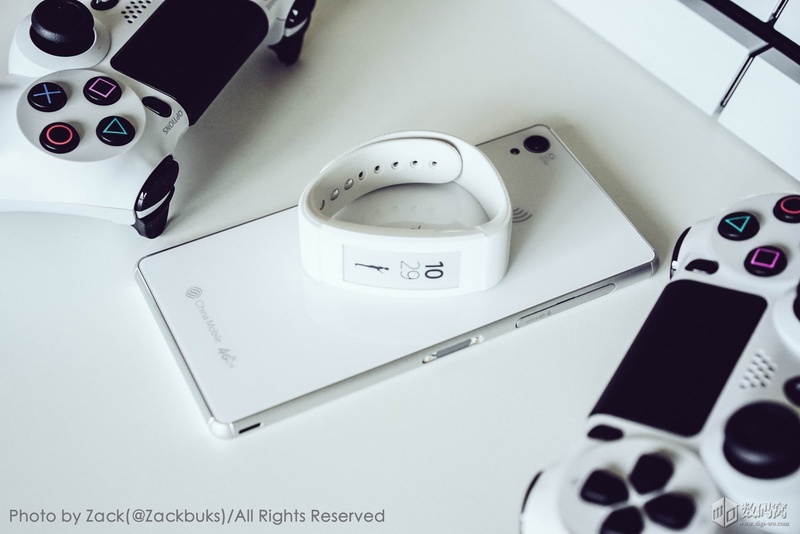 Like the black and white shades of Sony, Xperia products, let us know. Drop your comments below. For a long time one click root access on Xperia Z3 and Xperia Z3 Compact Android 4.4.4 KitKat firmware was not available but now with a brilliant work by zxz0O0 using CVE-2014-4322 exploit in his giefroot – Rooting Tool, root has been achieved now. 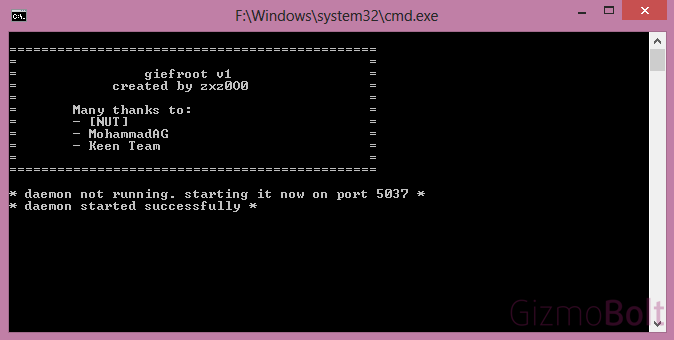 v1 of giefroot – Rooting Tool has been released for the time being which supports only Xperia Z3 and Xperia Z3 Compact for the time being. It is not working on Xperia Z2. Confirmed working on Xperia Z3 Compact D5803 ( 23.0.A.2.93 firmware ), D6603 ( 23.0.A.2.93 firmware ). Rooting voids the warranty of your device so proceed at your own risk ( after rooting you will receive all future updates, it does not need unlocking of bootloader ). It works only on Firmware dated < October 2014 ( both kernel and system ). Go to phone about settings option, tap on build number 7 times to enable developer mode option. Under Developer mode settings enable the below mentioned settings. adb drivers must be installed on your PC. Download the below mentioned giefroot – Rooting Tool. 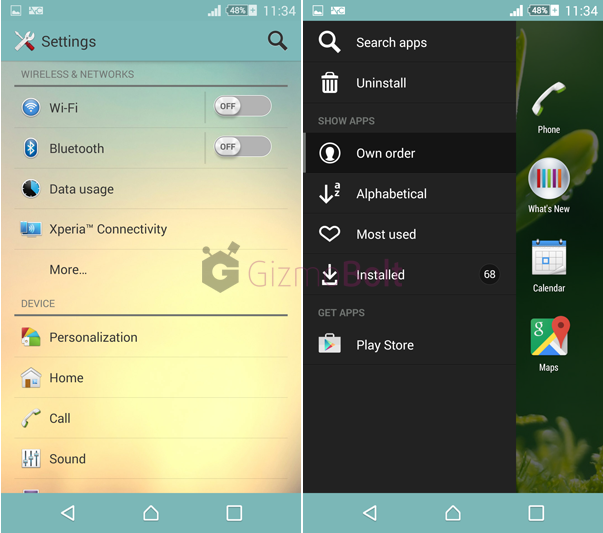 giefroot – Rooting Tool – V1 supports only Xperia Z3 and Xperia Z3 Compact. Connect your device to PC and then enable airplane mode in your device. Open the download giefroot_v1.zip file, extract it in your PC. Click on install.bat file > follow onscreen instructions. If all goes well your device is now rooted. Error Message : Device not rooted > Try running the above mentioned whole process again for the second time. Need any more help with above process, check the source link below to get in touch with the developer. NOTE : Check these steps mentioned by serajr to achieve root on latest .77 firmware ( locked bootloader ). Sony promised to release Android 5.0 Lollipop update for Xperia “Z3” and “Z2” series in February 2015 at CES 2015 event and then whole Xperia “Z” series will be updated. Meanwhile CyanogenMod Team officially released Android 5.0 Lollipop CyanogenMod 12 ( CM 12 ) nightly builds for Xperia Z2, Z1, Z Ultra, Z1 Compact and Z2 Tablet today. 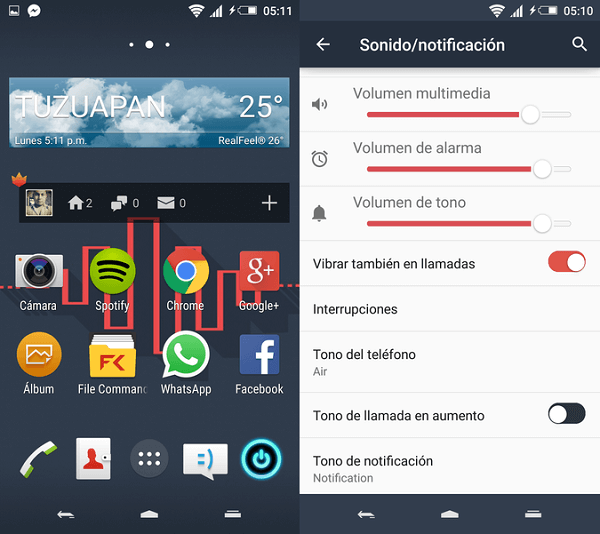 CyanogenMod has released CM 12 Lollipop nightly builds ( not very stable ) for the time being. To install it on your concerned device you must have unlocked bootloader ( which voids warranty ). 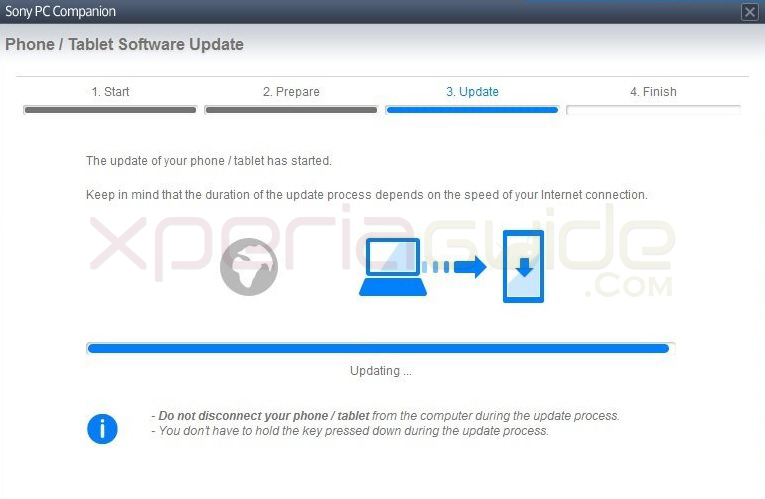 To unlock bootloader on your device, check the official steps by Sony here. Nightly builds will be having some bugs so install if you don’t want to wait for Lollipop update. 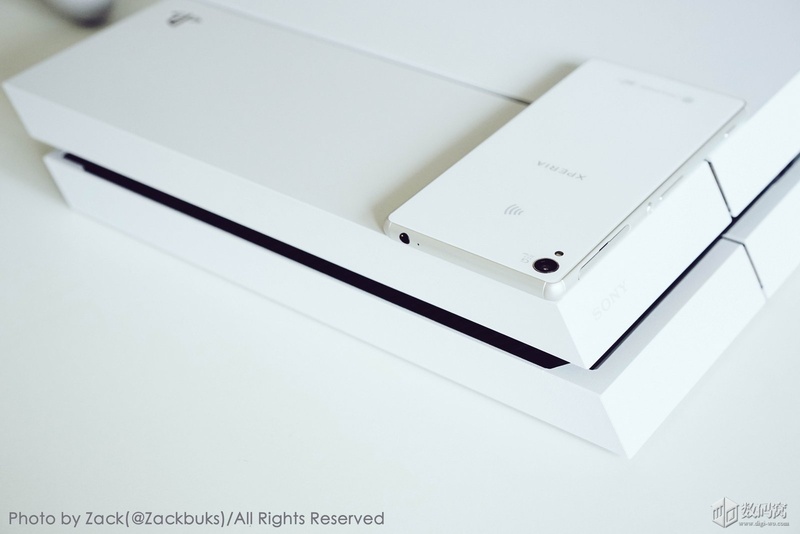 Download the files mentioned below for Xperia Z2 ( code name – Sirius ). Note : All the direct download links and steps are served officially by CyanogenMod Team. 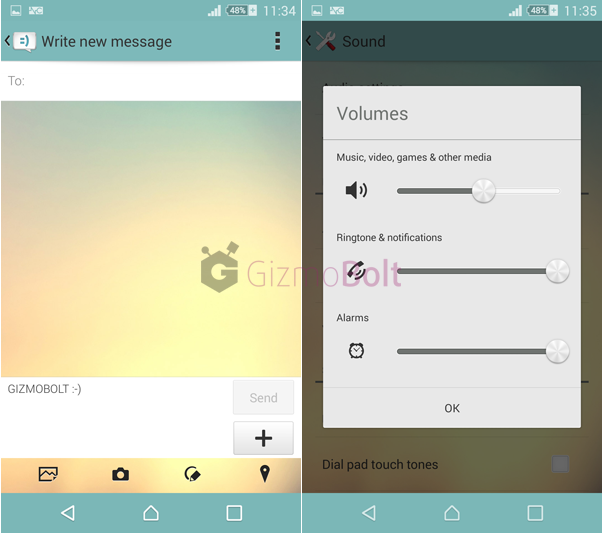 Follow these steps to install CM 12 on Xperia Z2. 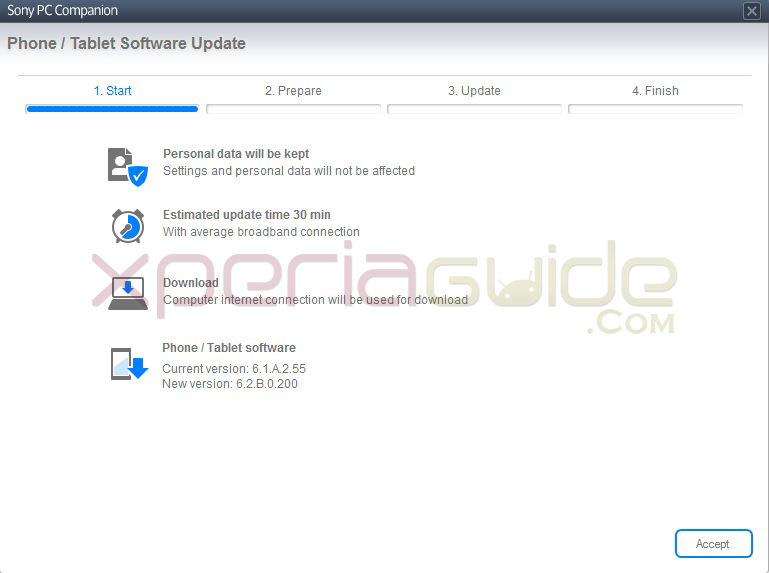 Follow these steps to install CM 12 on Xperia Z2 Tablet LTE. 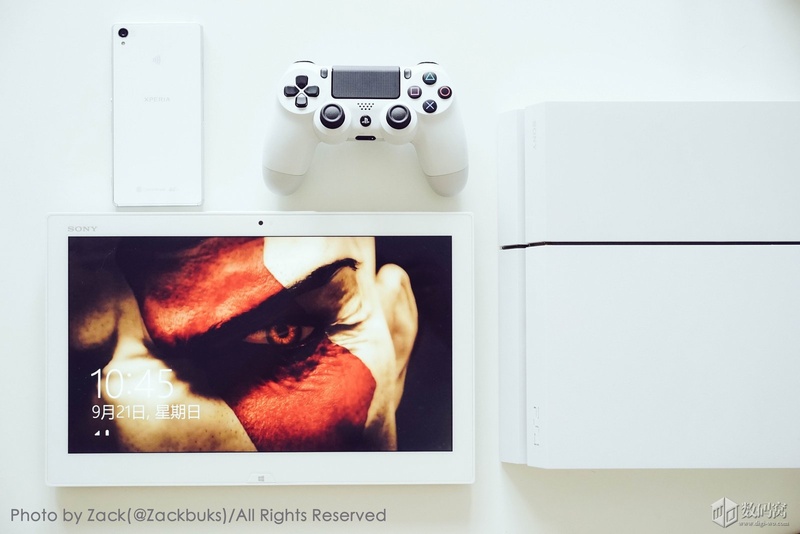 Follow these steps to install CM 12 on Xperia Z2 Tablet Wi-Fi. 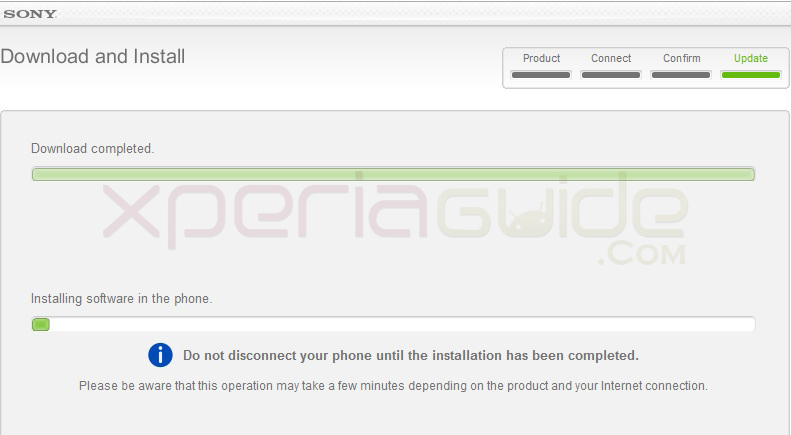 Follow these steps to install CM 12 on Xperia Z1. 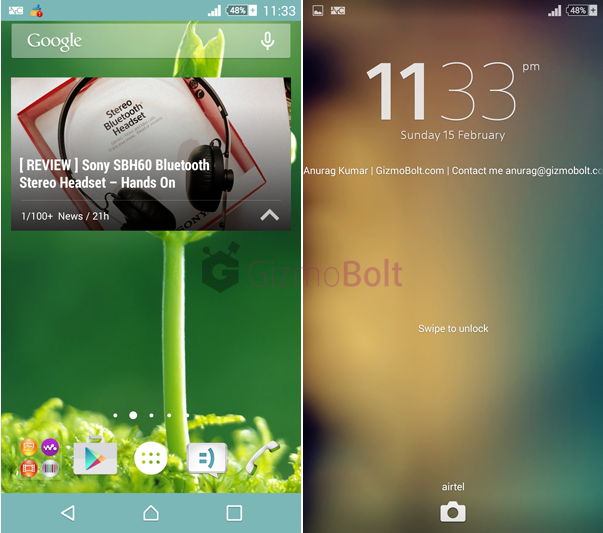 Follow these steps to install CM 12 on Xperia Z1 Compact. Follow these steps to install CM 12 on Xperia Z Ultra. 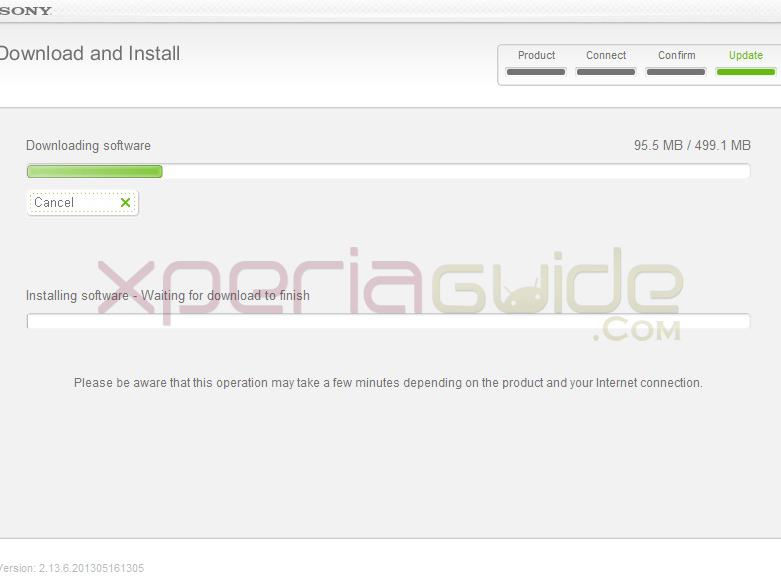 Follow these steps to install CM 12 on Xperia Z Ultra Google Play Edition. 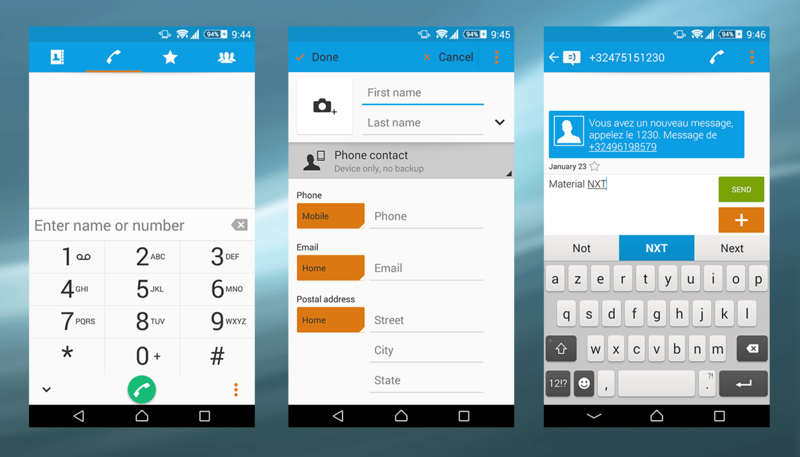 Share you views if you have tried official CM 12 on your device. Drop your comments below. We are waiting for Sony to roll Android 5.0 Lollipop update on Xperia “Z” series and to see what Sony is holding for users in terms of new material design inspired UI. 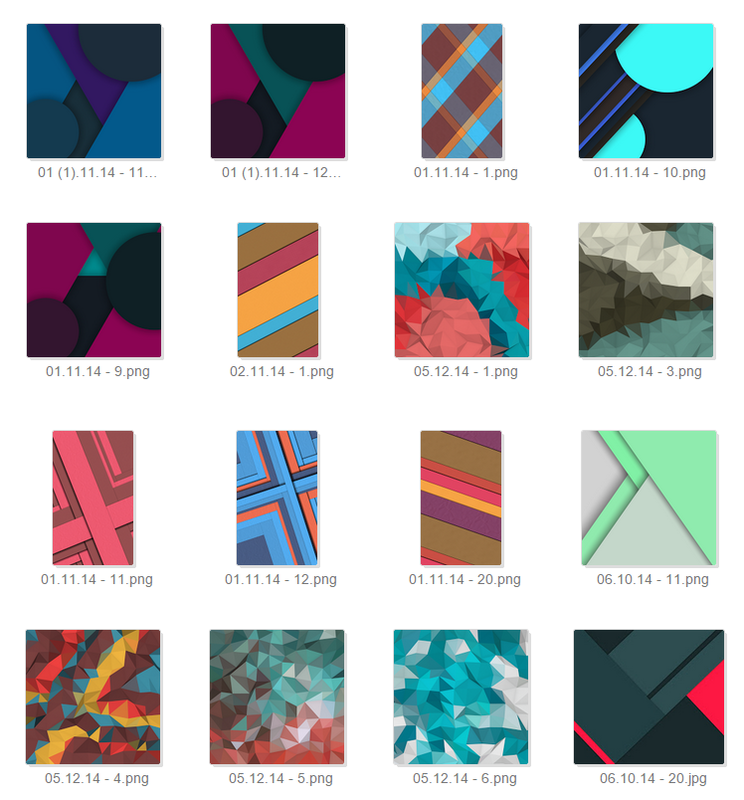 It seems we will also have new Xperia wallpapers inspired from material design. XDA user DennisDD78 shared some 500 material design wallpapers which go very beautifully on home screen & lock screen of FHD devices. Lock screen wallpapers have 1080×1776 resolution and home screen wallpapers have 2664×2664 resolution ( you need to crop a little bit to adjust them ). Download 500 material design wallpapers from below link. 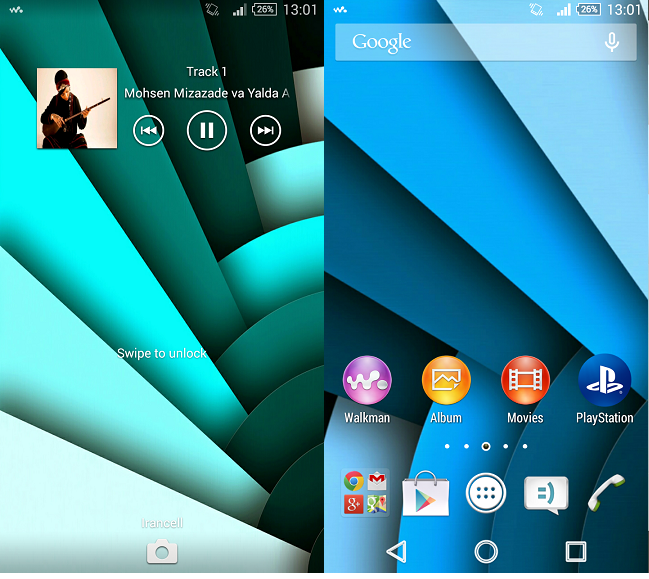 Below you can see two of the wallpapers on Xperia Z2 lock screen & home screen. Like the wallpapers, let us know. Drop your comments below. Finally the last day of year 2014!!! 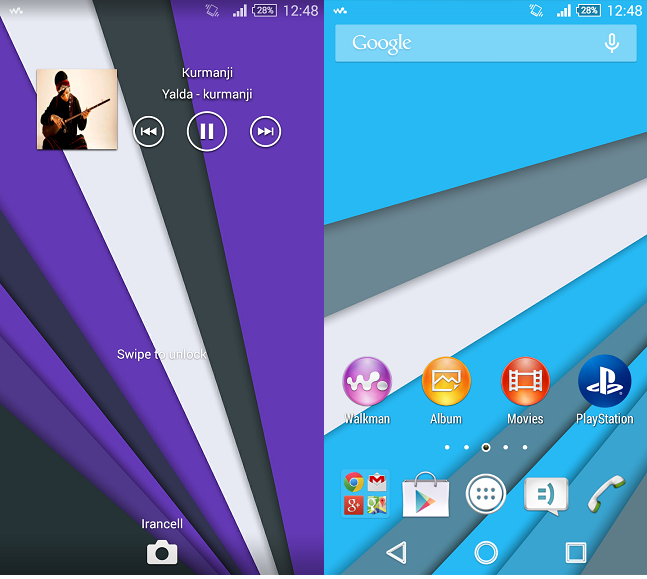 We thought let’s share some cool Xperia themes with you which can be used by every Xperia user running android 4.3+. 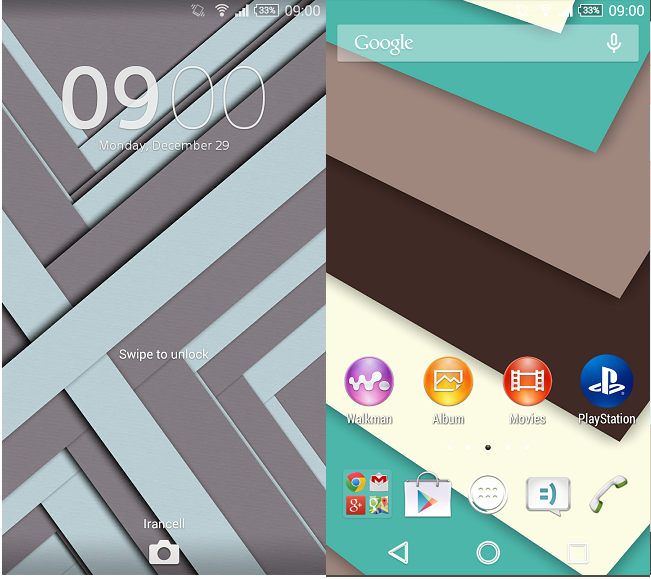 XDA user SKA67 has done a very good job in creating these free themes for Xperia users. You will get Android 5.0 style navigation keys, home launcher and customized material design wallpapers on home screen & lock screen. Every theme posted below follows the same pattern, only the ascent color is different in each theme. 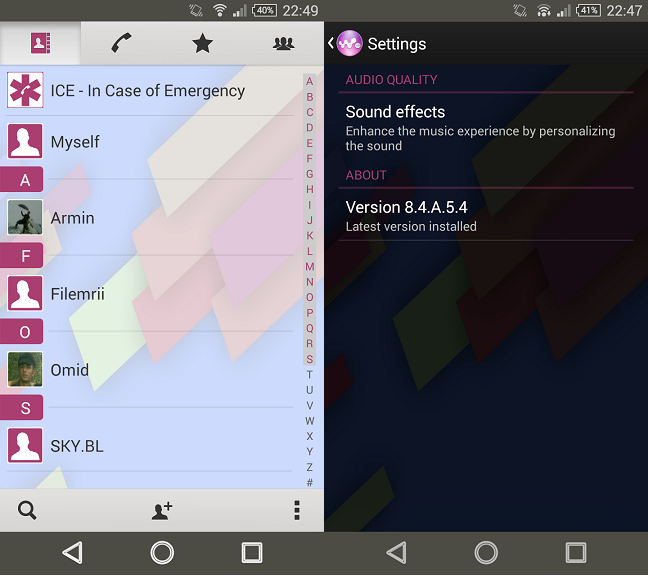 Download the theme apk from below and install like a normal apk on your device. 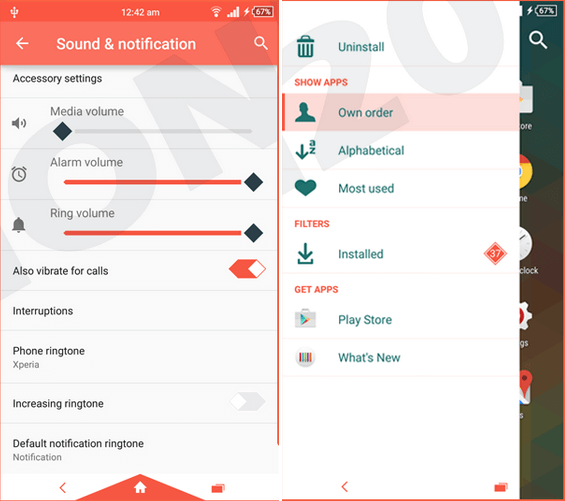 Third party Xperia themes maker Ven1aONE has released two more themes for Xperia devices on Play Store i.e. eXPERIAnZ Grey & Gold Theme. Both themes work on Xperia devices running android 4.4+ ( rooted as well as non rooted devices, compatibility with android 4.3 unknown ). You get customized home screen & lock screen wallpapers, navigation keys like Android 5.0 Lollipop, colored status and navigation bar with themed system UI. Download eXPERIAnZ Grey theme from below Play Store link. Download eXPERIAnZ Gold Theme from below Play Store link. 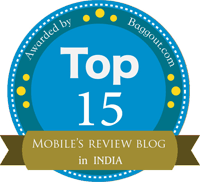 It is a paid theme for Rs 50/$0.74. 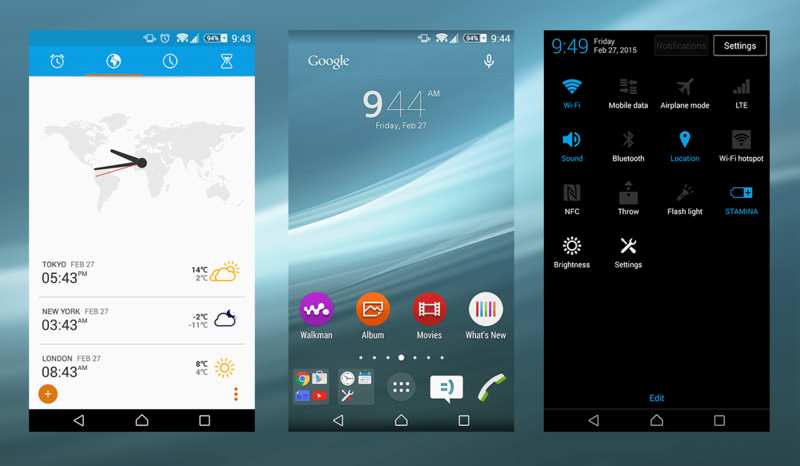 If above themes work on your non rooted Xperia running android 4.3, let us know. Drop your comments below. 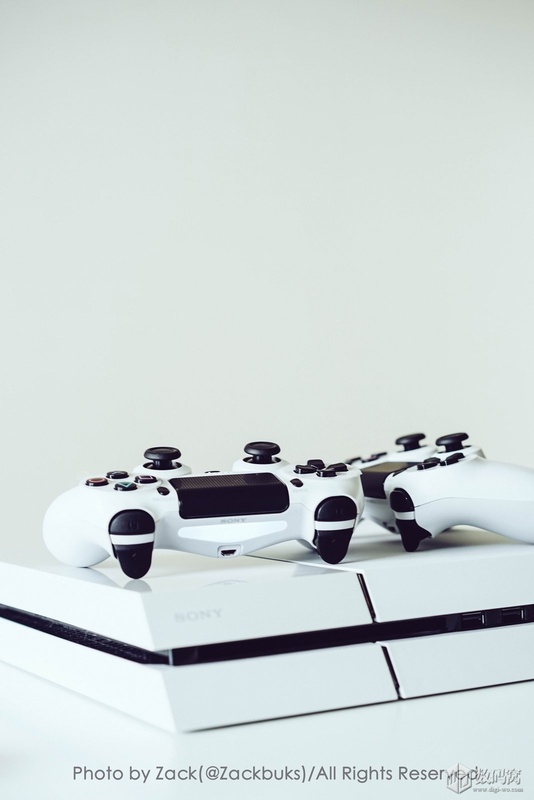 When you plug your headset in your Xperia device there is no headset icon displayed in the status bar, would you like to have one well if yes then this mod is for you. Mod to show Headset Icon When Plugged In Xperia devices will only work for rooted Xperia devices running atleast android 4.1+ version. Compatible with Xperia Z1, Z, ZL, ZR, Z Ultra, Z2, Z2 Compact, Z1 Compact, Z3 and Z3 Compact. It works on any KitKat ROM, if you are having odex rom then delete the odex file of below mentioned app. Download the below mentioned file, navigate to system/app folder and copy it there, set permissions rw- r– r– and reboot. Do backup your UnsupportedHeadsetNotifier.apk if anything goes wrong. Let us know if it works on your Xperia device. Drop your comments below. Sony Mobile came up with Xperia Z3, Xperia Z3 Compact and Xperia Z3 Tablet Compact at IFA 2014 on which Sony claims they can sustain 2 day battery life. What is the concept of this 2 day battery life on Xperia Z3, Sony explains now. Sony has released an infographic on what you can do in a 2 day battery life on your Xperia Z3 series, let see. Sony tells you about when and where people mostly use their phone to see updates. The infographic released talks about the situations when a smartphone’s battery runs out and what you could have done if it was there. Battery test results of Xperia Z3 and Xperia Z3 Compact are yet to come, we are now waiting for GsmArena’s review on Xperia Z3 battery. What do you say guys, impressed by latest Xperia Z3 and Xperia Z3 Compact. Let us know. Drop your comments below. Via- Sony, Thanks Ben for the Tip! In the mid of month May, we say Sony rolling Jelly Bean 10.1.1.A.1.253 firmware for Xperia Z C6603 to fix the bugs and just now certifed by PTCRB, the new Jelly Bean 10.1.1.A.1.307 firmware for Xperia Z C6603 has been rolled just now. Well hoping to see get some bugs fixed although. Jelly Bean 10.1.1.A.1.307 firmware for Xperia Z C6603 update is available over PC Companion as well as by Sony Update Service. No OTA update notification yet. If you haven’t got the notification yet, we included below the Jelly Bean 10.1.1.A.1.307 firmware ftf file which you can flash it on your Xperia Z C6603. 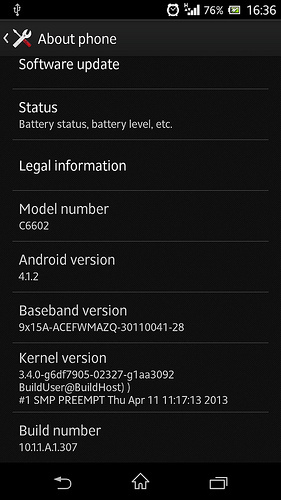 Jelly Bean 10.1.1.A.1.307 firmware has the same kernel as 10.1.1.A.1.253 firmware but has a new baseband version now. Improved speed in camera app loading, starts within 3 seconds now. Battery drain of 5%/hour on weak signal strength is still there. New Browser Small app version by Sony is seen in the small app launcher. The above app is good, if you want to download it you can by downloading from below link manually. 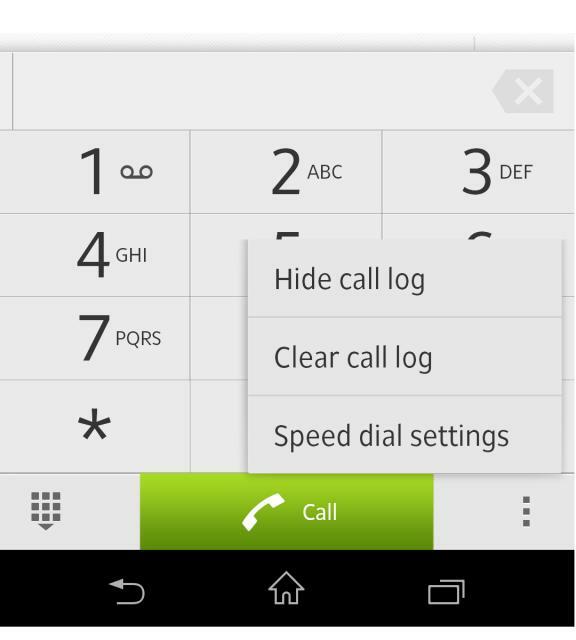 New SPEED DIAL settings in the call contact app. Users of Xperia Z C6602 in Taiwan have also reported this update rolling out. Update also confirmed in Hong Kong and with UK Vodafone users and Spain and Belgium. 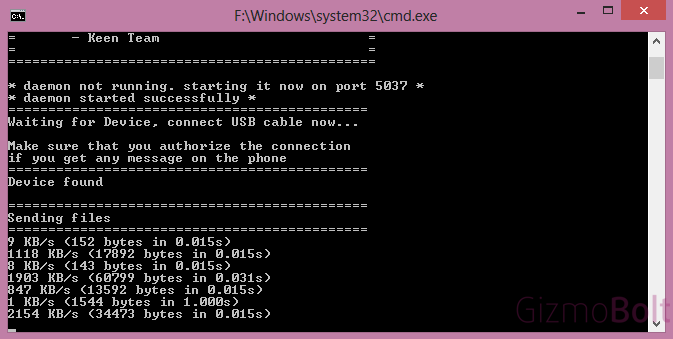 How to Update Xperia Z C6603 / C6602 on Jelly Bean 10.1.1.A.1.307 firmware by flashing ftf file ? We have got Jelly Bean 10.1.1.A.1.307 firmware ftf file for Hong Kong region. Download it from below link and flash it on your Xperia Z C6603. 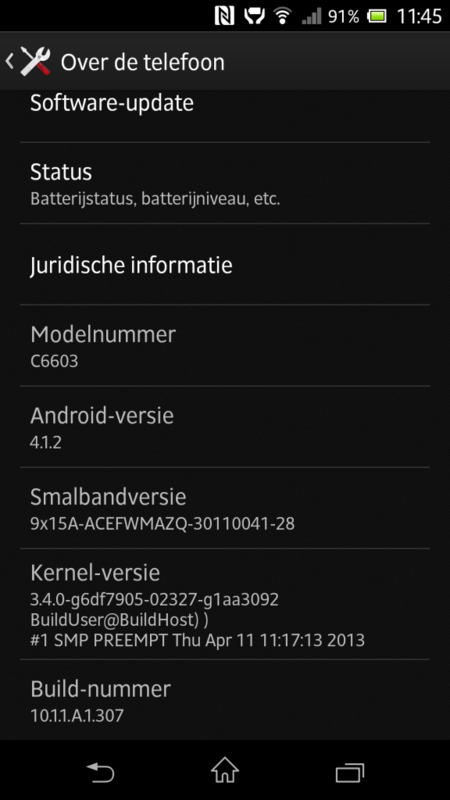 We have got another set of ftf file of “Jelly Bean 10.1.1.A.1.307 firmware for Xperia Z C6603 Unbranded Belgium region“. 😛 Check below links for downloading. Flash the above file on your unlocked bootloader Xperia Z C6603 / C6602 and enjoy the new Jelly Bean 10.1.1.A.1.307 firmware 🙂 Check below link how to flash Jelly Bean 10.1.1.A.1.307 firmware ftf file on Xperia Z C6603 / C6602. After flashing Jelly Bean 10.1.1.A.1.307 firmware ftf file, Root is removed. 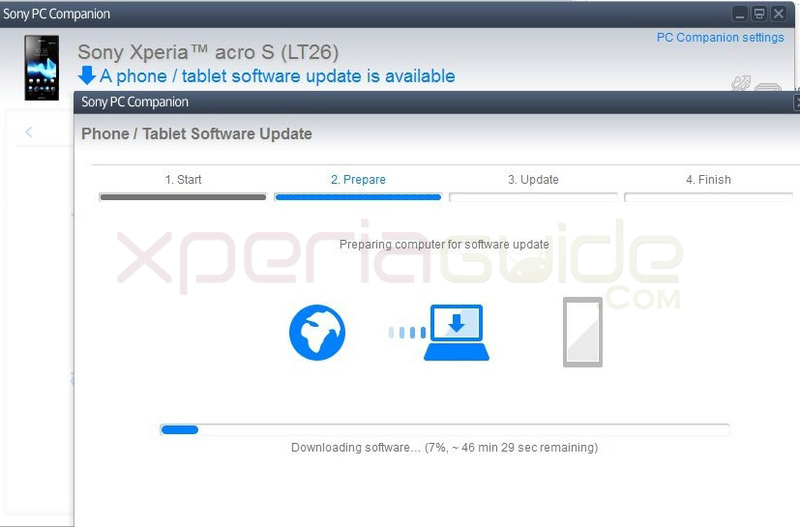 A week before Sony officially rolled out after so many months the Android 4.1.2 Jelly Bean 6.2.B.0.200 firmware for Xperia S Lt26i, Xperia SL LT26ii and Acro S LT26w. 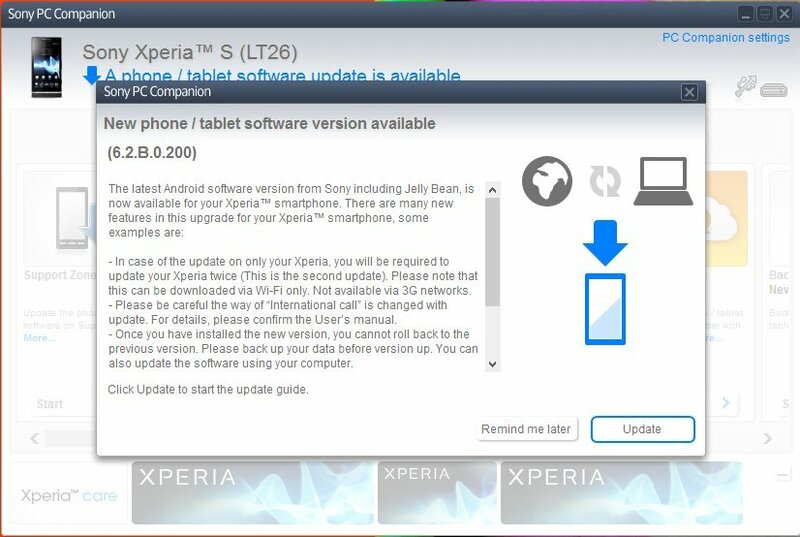 The first impression was that all Xperia S, SL and Acro S users were a lot happy regarding this udpate but as soon as they installed the update, a list of bugs in Jelly Bean 6.2.B.0.200 firmware came on. 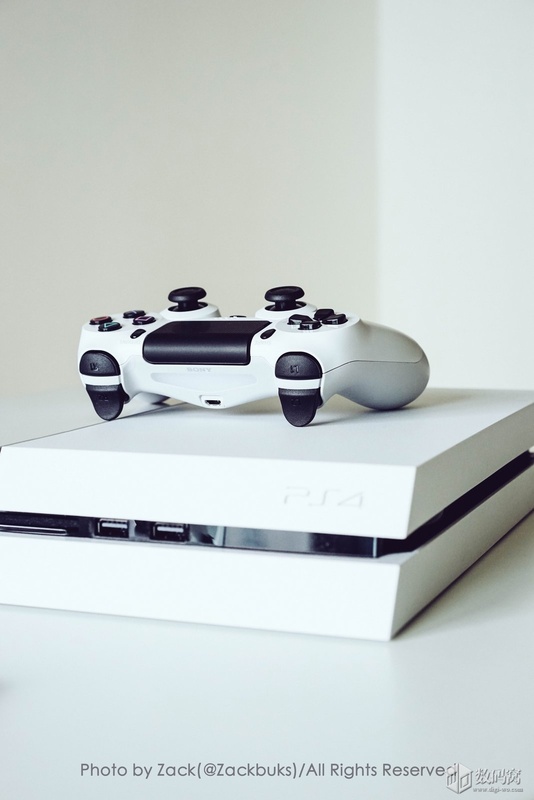 We expected that Sony may release an update soon to fix the bugs and here it comes. 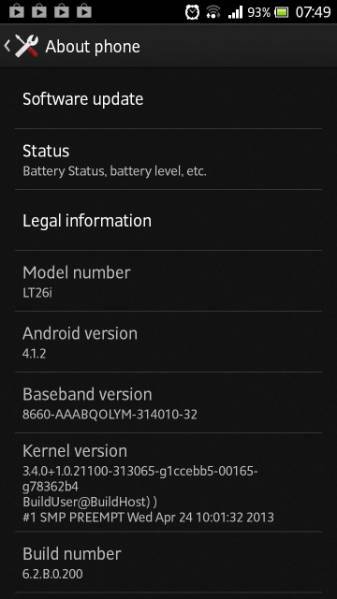 Jelly Bean 6.2.B.0.200 firmware has officially been rolled out across the globe for Xperia S, SL and Acro S in case yous till have not got the notification for update, let’s see how you can update. 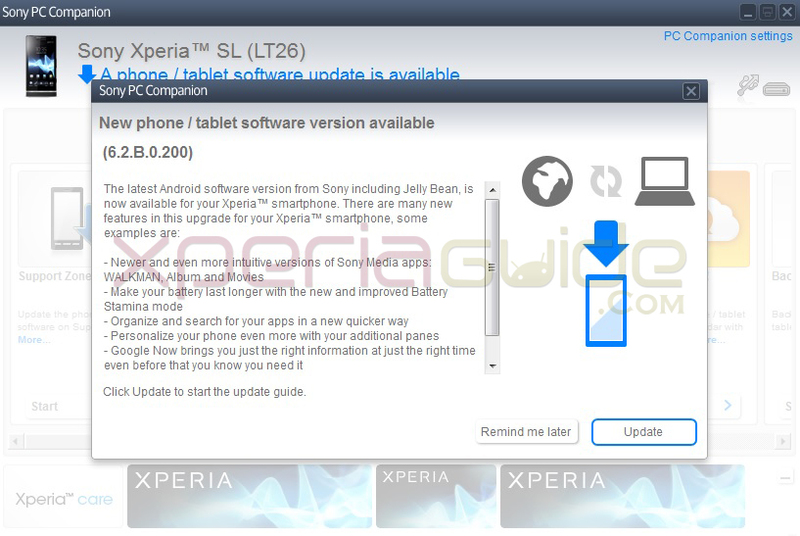 How to update Manually Xperia S LT26i /SL/Acro S on Jelly Bean 6.2.B.0.200 firmware – OFFICIAL UPDATE ? 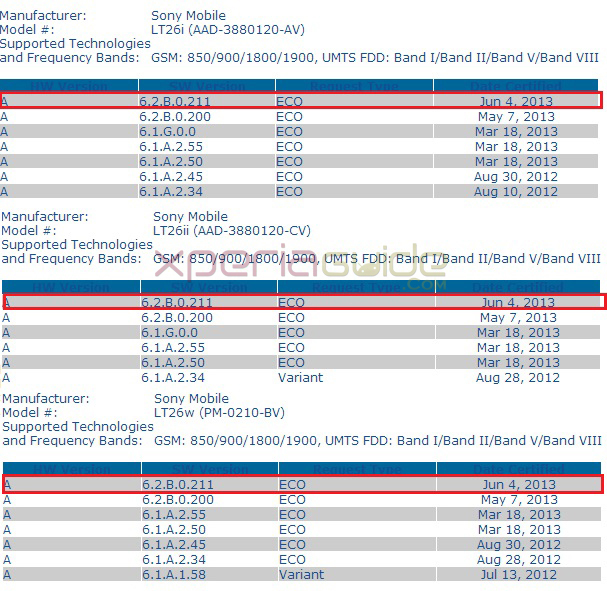 After having so many bugs in the Jelly Bean 6.2.B.0.200 firmware, many Xperia S users were reporting it on Sony Mobile forum and in reply to query of one user, Sony Xperia Support member “Johan” posted that Jelly Bean firmware 6.2.B.0.211 certified for Xperia S LT26i, SL LT26ii and Acro S LT26w and will be rolling out soon. We expect that all bugs will be fixed soon. Wi-Fi bug connectivity issue – Wi-Fi after Jelly Bean 6.2.B.0.200 firmware update stopped working. It either don’t detect or if detected it doesn’t connect to internet means we are not able to surf internet or download anything. Mobile data connectivity issue – Xperia S, SL, Acro S stopped connecting to 2G mobile data after Jelly Bean 6.2.B.0.200 firmware update. It doesn’t connect on “E” but it do connects on 3G mode “H”. 2G data is connecting very slow after the Jelly Bean 6.2.B.0.200 firmware update. Battery drain issues – After Jelly Bean 6.2.B.0.200 firmware update, battery drain issue issue arose. Now battery is draining at 2x rate as compared to ICS. Before only 9-10% battery used to drain after listening to songs on headset for 2 hours on ICS but now on Jelly Bean 6.2.B.0.200 firmware, around 10% battery drain in 1 hour listening to songs. No STAMINA Mode – Jelly Bean 6.2.B.0.200 firmware update for Xperia S, SL, Acro S had “Extended battery mode” only but when battery reaches 14%, phone shows warning of “switching to Battery Stamina Mode”. What does that mean actually ? 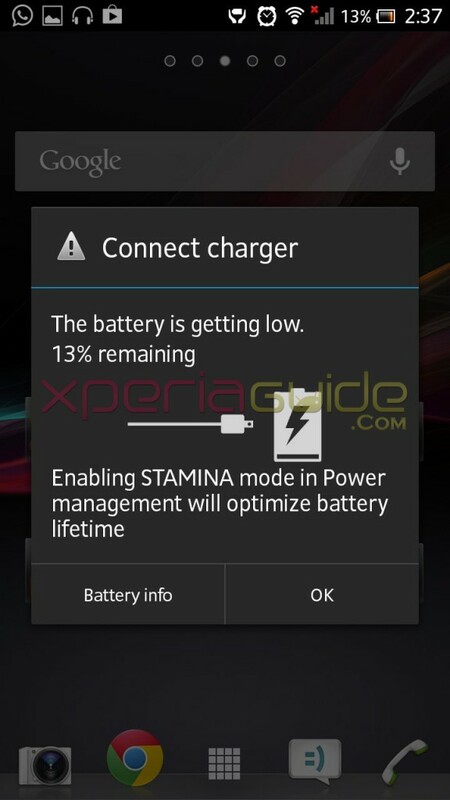 Sony missed Stamina mode so why phone is showing warning for that. 1080P HD video capture lag – While capturing 1080p full HD video in Jelly Bean 6.2.B.0.200 firmware, the video capturing lags so much. Fps for 1080p videos have been reduced now. Poor quality of videos are captured. Camera Quality issue – No HDR mode, no Burst mode, no superior auto mode was seen in Jelly Bean 6.2.B.0.200 firmware for Xperia S, SL and Acro S. Picture quality on 12MP cam also reduced showing a purple shade in the pics if taken with white background. A lot many other issues are reported like absence of apps like MyXperia, Screen Mirroring etc which were present in the leaked version. Hopefully Sony fix all above bugs soon in the new Jelly Bean 6.2.B.0.211 firmware update. 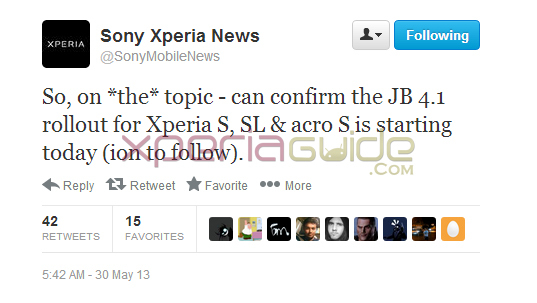 Xperia S, SL and Acro S users waited so long for the Jelly Bean, it should be atleast bugs free. 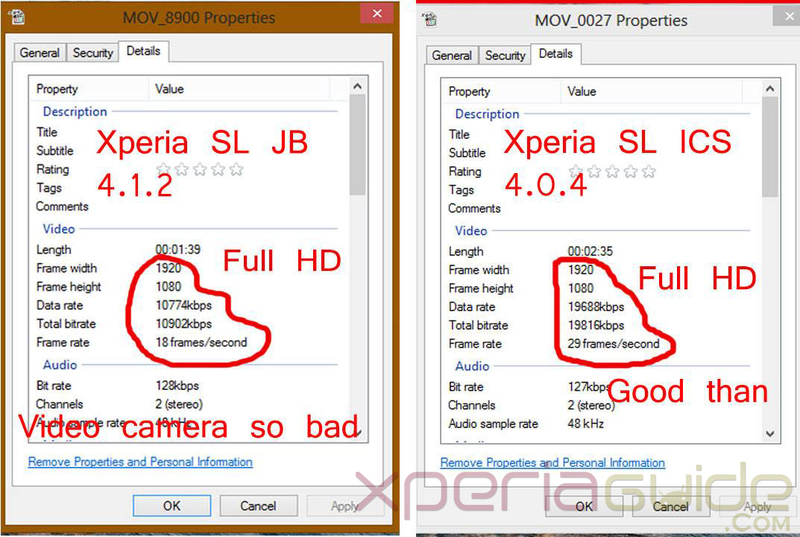 Do let us know in comment section, what bugs you are actually facing on your Xperia S, SL and Acro S on Jelly Bean 6.2.B.0.200 firmware ? 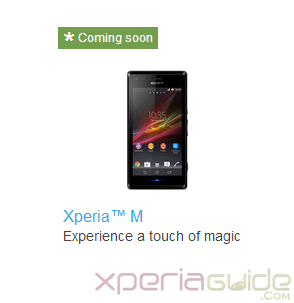 We guess it’s the year when new Sony Xperia smartphones are raining, we just spotted new Xperia M on Sony Mobile website under label “coming soon”. 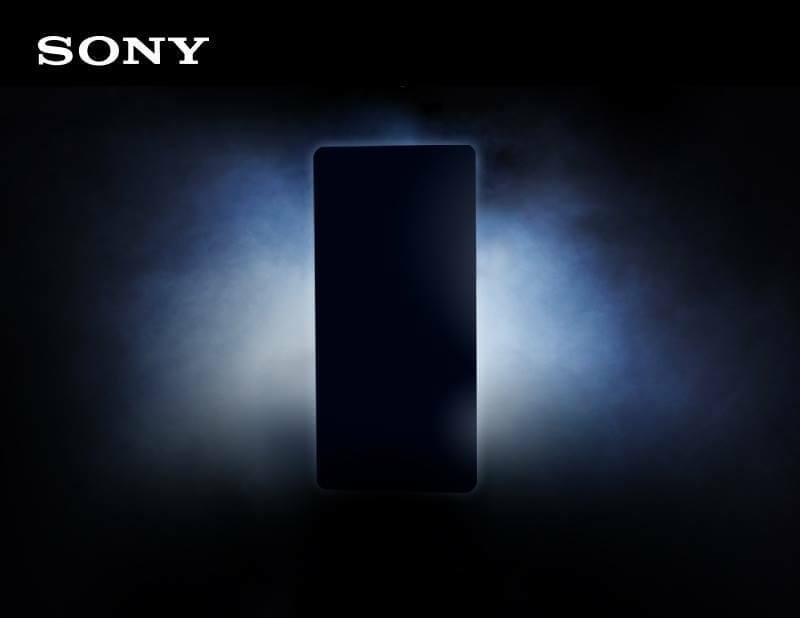 Sony has listed the full overview, features, specifications on the site about Xperia M. The first impression of phone looks like Xperia J and Xperia L, more similar to Xperia L.
Sony has officially listed Xperia M under it’s global phone categories. Well the phone seems a mediocre range from Sony with a dual core processor. Xperia M running on 1 Ghz dual core Snapdragon 4 Plus MSM8230 processor with 28 nm LP semiconductor technology. Android 4.1 Jelly Bean comes in stock. Xperia M has 4″ TFT display with 854×480 pixels resolution just like similar to Xperia J (4″) and Xperia L (4.3″) screen. Xperia M weighs 124 grams which is similar to Xperia J weigh and lighter than Xperia L which weighs 137 grams. Dimension of Xperia M is 4.88 x 2.44 x 0.37 inches. Xperia M is powered with 5MP cam with Exmor RS censor and 4x digital zoom along with auto focus and HDR. 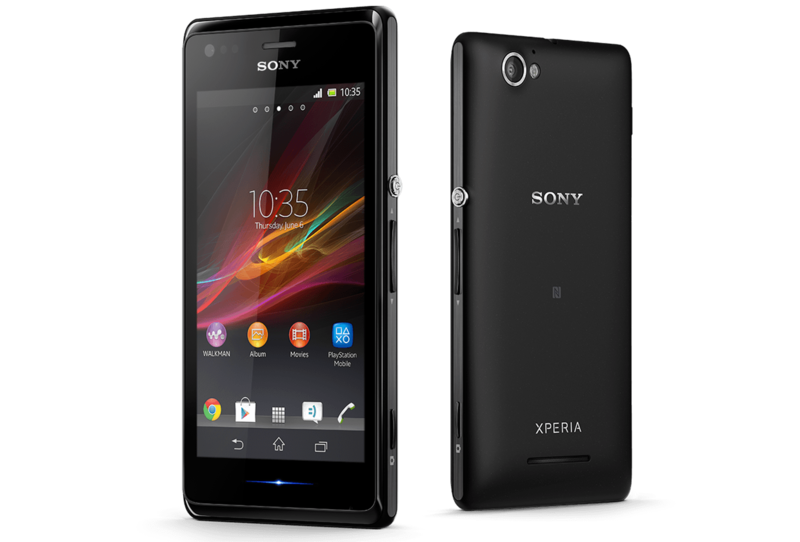 Xperia M will be available in Black, White, Purple, Lime colors.